Why Should You Include Precious Metals in Your Savings? Home » Why Should You Include Precious Metals in Your Savings? Precious metals have been a proven store of wealth for thousands of years. In times of instability, they have been viewed by many as a safe haven, used to preserve wealth and add security to an otherwise uncertain financial future. Because precious metals are not subject to the same forces as stocks and other paper assets, diversifying your portfolio with gold and silver can add an additional level of security for your wealth – regardless of the blunders of Washington, Wall Street and beyond. Few assets offer you and your family protection from political and economic uncertainty like precious metals. Gold, silver and other metals can help safeguard your wealth from a variety of threats, such as the decline of the U.S. dollar or a stock market crash. As the dollar’s value continues to decline, many Americans use precious metals as a vital hedge against inflation, preserving their purchasing power for the future. In fact, as the Fed prints money in times of economic distress, the resulting loss in value suffered by the dollar tends to increase the value of metals like gold. Your investments are your business. Precious metals offer unique privacy not found in many other types of assets. When making a cash purchase, ownership of your precious metals is completely private. Because the metals are in your possession, your portfolio does not need to be accounted for by the government, bank or financial institution. Some forms of precious metals, such as gold bullion, are valued almost entirely by their metal content and weight, making them tangible, extremely liquid assets that are uninfluenced by the myriad of other factors that threaten other investment types. In fact, precious metals are among the most liquid assets possible to hold as an investment. And when you buy them for physical possession, you always have access to them. As finite resources, precious metals have unique growth potential. 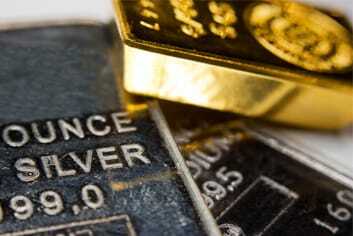 Gold and silver have provided tremendous returns in the past, and many analysts believe today’s prices are a bargain. For some investors, this makes precious metals an attractive alternative to placing their money in low-yielding bonds or stagnant savings accounts. 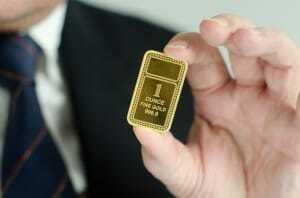 The demand for gold is everywhere – nowhere more so than from governments themselves. From 2010 to 2017, national central banks have purchased an average of 459.6 tons per year. China’s central bank has recently increased its purchases of gold by a substantial amount — to hedge against the billions of dollars in paper assets it holds but no longer trusts. Even countries such as Russia, Turkey and Ukraine are taking on more gold. The demand for precious metals will continue to rise, not only from nations and investors, but also from the numerous industries that use the metals in their manufacturing every day. As the demand for precious metals is increasing, supply is decreasing, thus naturally pushing their value higher over time. Around the world, many of the large deposits and high-grade gold have been discovered – and yet these metals continue to be sought after for use in medicine, machinery and a myriad of other applications. You don’t have to be an economics whiz to predict what this could mean for the value of gold in the years ahead! When people talk of precious metals as investments, they are generally referring to gold, silver, platinum or palladium – each of which has its own unique benefits and can be purchased for physical possession or placement in a Precious Metals IRA. Here’s a quick background on each metal and its common uses. Gold has been a highly sought-after symbol of wealth since the beginning of recorded history, often used in jewelry, art, coinage and many other applications. Because it is malleable, resistant to corrosion and conductive of electricity, gold also has practical uses in numerous industries. Is gold a good investment for long term? A long-term investment in gold, either in an IRA or for physical possession, can offer several benefits – especially with so much uncertainty surrounding the dollar’s decline and the global economy. Like gold, silver has been used for generations in jewelry, tableware, coinage and numerous other items. Its malleability, heat and electrical conductivity, and unique luster make it practical for a wide variety of industrial, electrical and manufacturing applications. Platinum and palladium, both recognized by their greyish white luster, are rare precious metals used in many similar applications as gold and silver. Platinum and palladium are both known for their great catalytic properties and are thus used heavily for industrial processes, as well as the manufacturing of jewelry and numerous other items. Bullion and Numismatic Coins – What’s the difference? Bullion coins are valued solely by their precious metals content and weight, making them attractive to investors looking for liquidity. Select bullion coins are also approved for placement in a Precious Metals IRA. Numismatic coins are those minted prior to 1933. Their value is determined not only by their precious metals content, but also their rarity and condition. This makes them attractive to investors who are looking for added growth potential from those factors. It’s also worth noting a third option popular with investors: Proof coins. While proof coins are also valued partly based on their precious metals content, they are also minted in limited quantities with higher production standards than their bullion counterparts. Therefore, their value is also influenced by their scarcity. 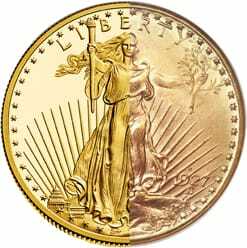 Finally some types of proof coins, such as the Proof American Gold Eagle and the Proof American Silver Eagle, can be placed into a Precious Metals IRA. Buying precious metals for physical possession allows you to store your metals however you choose – at home, in a safe, in a bank deposit box, and so on. You have complete access to your metals at all times and total control over your investment. You simply can’t get that level of peace of mind from most other investment asset types. A Precious Metals IRA combines the benefits of precious metals with the tax benefits of a government-approved retirement account. A variety of coins and bars from around the world are approved for a Precious Metals IRA. When you add metals to an IRA from Birch Gold Group, they are stored safely in a precious metals depository until you decide to take distributions from your account. A variety of other investment types can also be added to a Precious Metals IRA, such as stocks, mutual funds, real estate, mortgages and others. Deciding which way to invest should be based on your individual goals and circumstances. Some investors use Precious Metals IRAs for their retirement savings while also keeping additional metals stored at home or in a safe. Over the years, as governments have fallen and stock markets have tumbled, precious metals have remained a bedrock of stability and security. To learn more about protecting your financial future with investments in gold, silver, platinum and palladium, take the first step today: Request our free Information Kit or call us toll-free at (800)355-2116.